The Liberty Inn in EPCOT is, in my opinion, one of the most disappointing and under-utilized restaurant in EPCOT if not all of Walt Disney World. The food, at the Liberty Inn, is poor. It’s the type of quick service that you go to when you are hungry but don’t want to walk to Germany/Italy or Japan/Morocco/France to get better food. As a friend of mine puts it, “well…..we weren’t hungry afterwards.” Hardly a glowing review. But what could be done to improve this restaurant and make it a destination restaurant at EPCOT. The ordering and kitchen is large as well. This whole area can easily be converted into a table service area. Some of the tables in the dining area would probably be removed to give guests more space and to help reduce the crowd noise in the dining area. Those are both easy fixes. I have mentioned this, a few times, in other articles talking about Disney food in general but the United States has a diverse food culture. There are many different regions of the country each with their own style of cuisine. But what is represented at The Liberty Inn….mass-produced burgers and grilled chicken sandwiches. Yes, there is a New York Strip Steak and Crab Cakes on the menu but priced at $11.49 and $10.99 respectfully, I’m not expecting the highest quality. I would probably knock the New England style seafood off the list straight away. The restaurant could be too easily compared to Columbia Harbor House in Magic Kingdom and could be seen as Columbia Harbor House on steroids. The BBQ restaurant, on the surface, sounds like a good idea. But you need to consider the fact of most BBQ is cooked/smoked outside. The summer weather could wreak havoc on cooking/smoking schedules. Plus, the smell of the BBQ from the grill/smoker could over-power the World Showcase which could be seen as another negative for the potential restaurant. Cajun cuisine has a diverse mix of shrimp, fish, chicken, pork and sausage as the centerpiece of its cuisine. The menu could appeal to a wide variety of people. The spices in the style of cooking could be tempered to appeal to people who do not like spicy food. The meats can be cooked inside so as not to overpower the World Showcase with “food odor.” It’s a good fit for the World Showcase. A Napa Valley restaurant and wine cellar could be a taste of Disneyland in Walt Disney World. Disneyland has a similar restaurant called Wine Country Trattoria. The wines could be brought in from the Napa Valley to stock the wine cellar. Now, I know I mentioned earlier that the area does not need another Italian-style restaurant. But this restaurant can focus on a many different food and wine pairings that require both red and white wines which could push some of the Italian-style dishes off the menu in favor of more hearty dishes involving beef. It’s the only drawback I can see to this style of restaurant in Florida…the temptation to add Italian cuisine to the menu but with Italy just a few steps away Disney chefs could come with their own non-Italian dishes to pair with the wine. What would you like to see replace The Liberty Inn provided Disney made the decision to replace the restaurant? It seams to me that you have forgotten the area completely. As the liberty tree Tavern in Liberty Square there is a need to do food from the period. I.E. roast beef, corn on the cob, bread pudding, ant other topical foods. Not California, China, Italy, or Texas. Just my opinion. I’m talking Liberty Inn in EPCOT not Liberty Tree Tavern in MK. 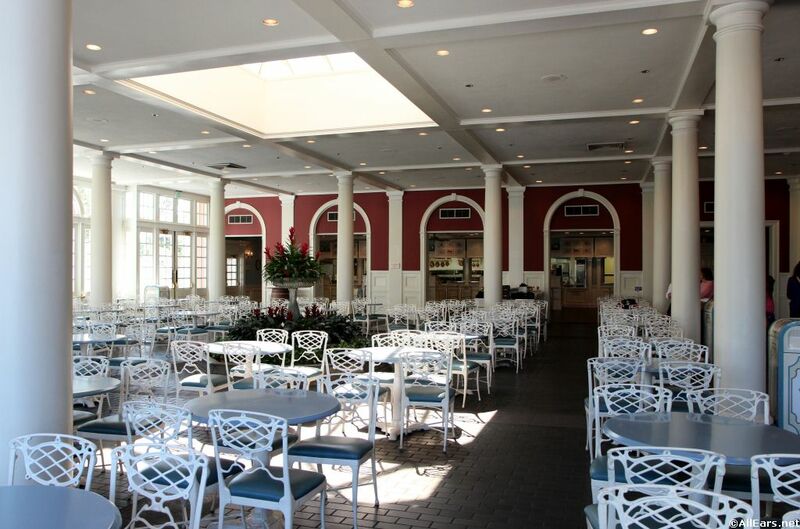 If we were to go this route of table service, I actually don’t think New England seafood would be such a bad choice, and is the only one on the list that is period-appropriate to the colonial style feel represented elsewhere throughout the pavilion. Assuming it’s somewhat more upscale (as should be for table service), I’m not sure the comparison to columbia harbor house is such a foregone conclusion. All of that said, I don’t dislike the Napa valley style idea, either. I think the biggest challenge, though, is that the USA doesn’t really have a culture, particularly a food culture, that can easily be distilled down to a single style or theme… though going the colonial style at least would give us a unified vision to latch on to. I think that any change would be a good one. I hate that restaurant. Is chicken fingers the best that we can do as a country? I totally agree.